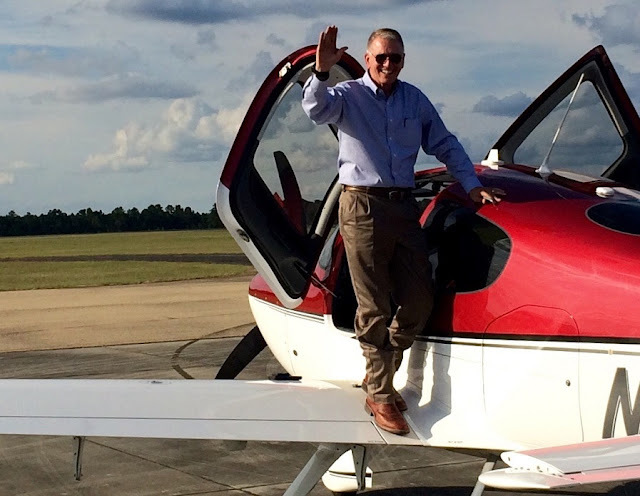 The sky’s the limit for Rep. Ralph Abraham. The Louisiana Republican is a pilot, a physician, a veterinarian, and a farmer. He also helps out with the Coast Guard and wants to climb Mount Everest next year. Abraham, 62, got his pilot’s license after he graduated from vet school in the 1980s. He uses his plane to give back to his constituents in a unique way. He’s been a member of Pilots for Patients for years. In his large 5th District, which covers much of northeastern and central Louisiana, cancer patients often have to travel long distances to receive treatment, and the nonprofit organization works to get them there quickly at no cost. The two-term congressman helps transport patients to the University of Texas MD Anderson Cancer Center in Houston and the St. Jude’s Children’s Research Hospital in Memphis. With his congressional schedule, Abraham doesn’t get to fly patients as often as he would like, but his plane is available in Louisiana for the organization. 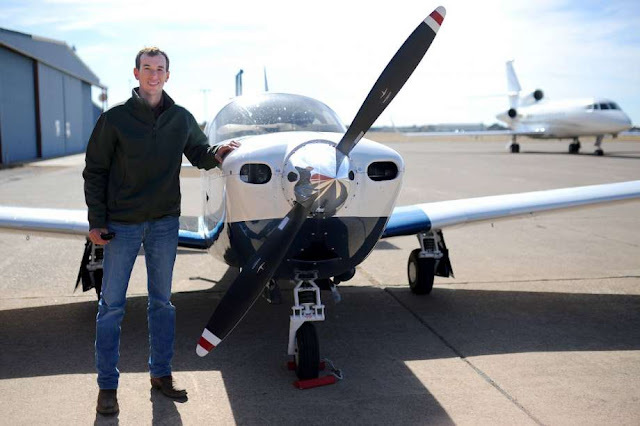 He also tries to get airborne a couple of days a month to fly missions for Green Flag, a Civil Air Patrol program that uses manned planes to simulate unmanned drones and shoot real-time video for crew training in Fort Polk, Louisiana. And, it doesn’t stop there. Just this month, he got another opportunity to volunteer: this time helping out the Coast Guard. “I got a call at daylight from the Coast Guard in Memphis, and they said that an aircraft had gone down in or around the Mississippi River and wanted me to go up because I am stationed close to that particular area,” he recalled. Abraham and his co-pilot assisted sheriff’s deputies with the search. The pilot was found and “I heard was he was doing good,” the congressman reported. As for climbing Everest, Abraham has already been in touch with people with whom he climbed Mount Kilimanjaro in January 2012, and they’re getting things lined up for next year. “We are past, I think, the talking stage,” he said. At a young age, Matt Berkebile became fascinated with airplanes. 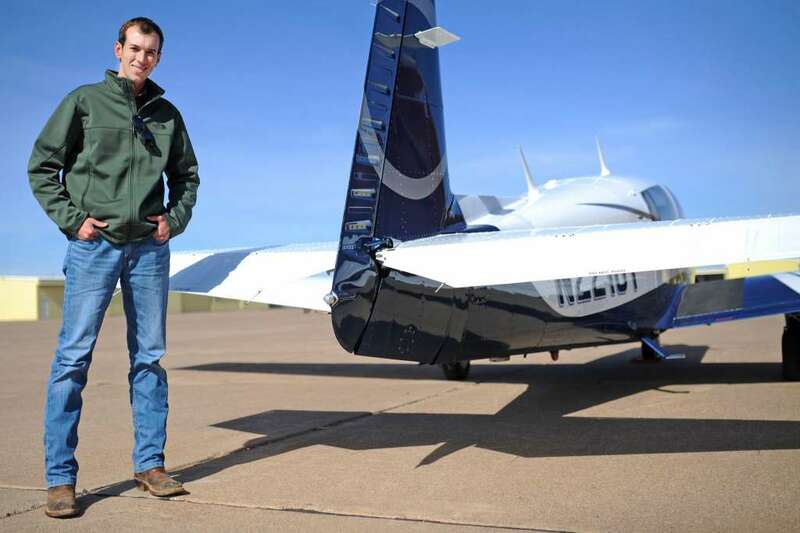 Now he uses his passion for flight to help West Texans access medical care. Berkebile coordinates local efforts for Angel Flight South Central, a nonprofit that offers patients free flights to medical centers. Since he first volunteered nearly two years ago, Berkebile has completed about a dozen flights. He said some patients turn to Angel Flight after exhausting money on medical treatments. Angel Flight is based in Dallas and helps patients in Texas and its neighboring states. Midland is in the southwest region, which spans from Abilene to El Paso. Justin Burris, a local volunteer pilot, said the organization has helped people living in small West Texas towns. Volunteer pilots for Angel Flight donate their time and travel expenses. The pilots use small aircraft, such as the Mooney Ovation plane Berkebile rents from Floris Flight Services at Midland Airpark. The size of the airplanes allows pilots to reach county airports that are close to people seeking medical transportation, Berkebile said. Shireen Pitassi, missions director for Angel Flight, speaks with patients to arrange flights with volunteers in their regions. She said an increasing number of patients have shown interest in the organization since she became an employee in 2001. Berkebile said he has made a difference for people who need medical care not available locally. He became a licensed pilot seven years ago and hopes others who enjoy flying will consider volunteering with Angel Flight. 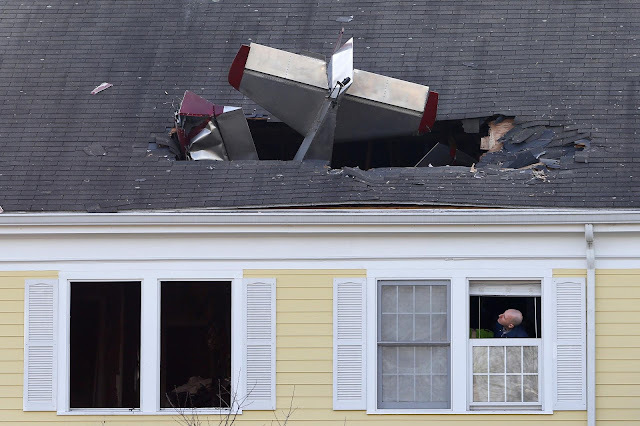 On February 28, 2017, about 1302 eastern standard time, an experimental, amateur-built Sonex, N315AL, was substantially damaged when it collided with a building in Methuen, Massachusetts, during final approach for landing at Lawrence Municipal Airport (LWM), Lawrence, Massachusetts. The sport pilot was fatally injured. The airplane was owned by the pilot who was operating it under the provisions of Title 14 Code of Federal Regulations Part 91. Visual meteorological conditions prevailed near the accident site at the time of the accident, and no flight plan was filed for the local personal flight. An acquaintance of the pilot reported that the pilot had experienced fuel leaks in the cockpit due to a cross-threaded connector. He stated that the pilot spent most of his time doing maintenance inside the cockpit. In an e-mail sent to his Experimental Aviation Association (EAA) chapter on February 25, the pilot reported that the last time he flew the airplane was on October 8, 2016. He had removed and reinstalled the fuel tank twice due to a cross-threaded outlet fitting that was causing a fuel leak at the fuel outlet connection near the fuel shutoff valve in the cockpit. He stated that the issue was fixed and that he would fly the following Tuesday (the day of the accident), during which he would remain in the airport traffic pattern and "do a bunch of touch-and-goes to make sure everything is working correctly." On the day of the accident, the pilot purchased 12 gallons of fuel about 1245. The pilot then informed the tower controller that he would be remaining in the traffic pattern to practice takeoffs and landings. The controller issued a takeoff clearance and instructed the pilot to make a left closed traffic pattern and to report mid-field downwind. The pilot acknowledged and departed runway 14; he then reported mid-field at an altitude of 1,400 ft above ground level (agl). The pilot was subsequently cleared to land, but he never acknowledged the clearance. The controller reported that, as the airplane turned onto the final leg of the traffic pattern about 500 ft agl, another airplane was "over the numbers" getting ready to land. He stated that, although spacing did not appear to be an issue, he observed the accident airplane make a shallow s-turn maneuver to the left, then back to the right before it suddenly nosed over in a right turn and disappeared out of view. Several witnesses on the nearby highway saw the airplane approach from the north, then make a sudden dive before disappearing behind trees. One witness stated that the belly of the airplane was "engulfed in flames." He described the flames as "very bright red" and stated that the airplane looked like a "meteor." He stated that flames also appeared to be behind the propeller, which was turning, and "under where the pilot would sit." Additional witnesses called 911, reporting that they saw a plane go down, that it was "on fire," and that the airplane "burst into flame." According to Federal Aviation Administration (FAA) airman records, the pilot received his sport pilot certificate on May 21, 2014. Review of his logbook revealed 128.5 total hours of flight experience and 28 hours in the accident airplane make model as of his last logged flight about four months before the accident. The pilot did not hold an FAA medical certificate, nor was he required to as a sport pilot. The pilot/owner purchased the airplane in January 2015 from the manufacturer in kit form. The pilot/owner completed the build and it was issued a special airworthiness certificate for experimental airplane on May 4, 2016. It was a two-seat, single-engine, low-wing, tailwheel-equipped airplane that was equipped with a Jabiru 3300L six cylinder, 120-horsepower reciprocating engine. Airframe maintenance records indicated that the airplane had accumulated 28.4 hours total time as of the last recorded entry on October 8, 2016; on this day, the pilot flew 1.4 hours. The engine logbook had one entry dated May 1, 2016 that reported, "ground run no leaks." No additional engine maintenance was documented. The 1254 automated weather observation at LWM included variable wind at 4 knots, 10 miles visibility, scattered clouds at 9,000 ft, temperature 13°C, dew point -2°C, and an altimeter setting of 30.35 inches of mercury. LWM was located 2 miles east of Methuen, Massachusetts, at an elevation of 147 ft mean sea level. It was equipped with two runways oriented 05/23 and 14/32. Runway 14/32 was 3,900 ft long and 100 ft wide. The surface was made of asphalt and was in good condition. All components of the airplane were accounted for at the accident site and there was evidence of both pre- and postimpact fire. 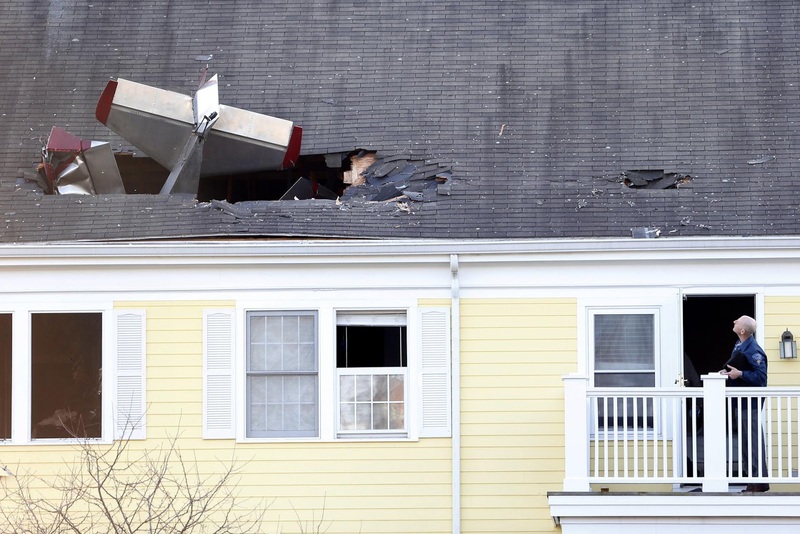 The airplane struck the roof of a three-story condominium building located about 1,800 ft from the approach end of runway 14. The airplane was found in the attic and upper bedrooms in a nose-low attitude on a heading about 208°. 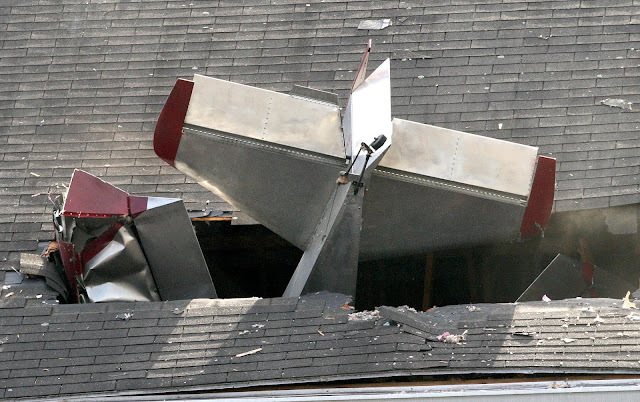 The empennage partially protruded from the roof. Both wings remained attached to the fuselage at their respective wing roots and were bent aft about 45°. The bedroom where the airplane came to rest caught fire, but was quickly extinguished by the building's fire suppression system. Fire damage was limited to the rooms in the immediate vicinity of the airplane. The engine separated from the firewall and came to rest upright against a wall about 5 ft forward of the fuselage. The engine exhibited fire damage on the left side. The two-blade fixed P-Tip propeller blades separated about 12 inches from the propeller hub. The 17-gallon polymer fuel tank remained intact and secured behind the firewall and directly forward of the instrument panel. It contained about 7 gallons of 100 low lead aviation fuel. Fuel lines leading from the fuel tank were severed during impact and were leaking when the fire department arrived on scene. The fuel shutoff valve, which was installed at the lower side of the tank above the pilot's feet, was separated and found loose in the wreckage and was heavily fire damaged; its preimpact position could not be determined. The aluminum plumbing between the valve and the gascolator was consumed by fire; however, the fittings remained intact. The firewall-mounted gascolator contained residual fuel that resembled 100 low lead aviation fuel. The filter contained no contaminants and was not damaged. The throttle body separated from the engine but remained attached by the control cable and was slightly damaged by impact forces. It displayed exterior discoloration and sooting, but no evidence of internal damage. The fuel regulator component remained attached to the throttle body; however, the fuel line into the regulator from the fuel supply had no torque and was easily spun by hand where it was threaded into the regulator. The throttle body was opened and displayed some discoloration that appeared like soot inside the air intake. The fuel regulator showed some soot deposits. Both intake and outflow lines and their respective connection nuts and couplers were undamaged at the unit and did not show any signs of heat damage, but areas under and to the left of the unit showed evidence of fire. The spark plugs were removed; the electrodes exhibited normal wear and color when compared to a Champion inspection chart. Examination of the magnetos revealed no anomalies. The engine crankshaft was turned manually; internal engine continuity was confirmed. Compression and suction were observed on all cylinders and valve action was correct. Flight control continuity was confirmed by operating the push/pull rods to their respective locations on each flight control surface. All connections remained intact. The aileron connections were traced visually to the dual stick flight controls but could not be operated due to impact damage. Rudder control continuity was visually confirmed, but the controls could not be operated due to impact damage. The engine sustained fire and heat damage, with the heaviest concentration of heat damage to the lower left side of the engine. Thermal damage propagated aft past the intake and exhaust manifolds through the rear of the engine. The oil filter was fused to the engine and could not be removed. The lower oil line that connected to the oil filter was not secured. The blue aluminum connection nut was loose. There was oil spray on the lower left side of the engine. The leading edge of the intact manifold expansion gaskets were heavily damaged by fire. All intake and exhaust manifolds on the left side of the engine showed evidence of external heat signatures. There was no evidence of heat damage to the right side of the engine. The engine cowl showed interior heat damage to the bottom side with the heaviest concentrations on the bottom left and aft. Soot, discoloration, and heat signatures were on the bottom of the fuselage and on the leading edge of the radio antennae, which exhibited blistering. Soot was also on the inboard portion of the right wing, and a soot pattern was along the right side of the fuselage that originated from an area near the front of the airplane and extended out under the right wing toward the tail. The instrument panel was impact- and heat-damaged. It contained an Xtreme-EFIS that can display primary flight display information, navigation information, and, optionally, engine information. The unit could not be separated from the instrument panel in the field, so the entire instrument panel was removed from the wreckage and sent to the NTSB Vehicle Recorder Division for additional examination and download. The SD card was successfully read using the manufacturer's software. Only one file, from February 5, 2016, was recovered, and this file was consistent with ground-only operation. No data pertinent to the investigation was recovered. The Commonwealth of Massachusetts Office of the Chief Medical Examiner, Boston, Massachusetts, performed an autopsy of the pilot. The cause of death was multiple blunt force and thermal injuries. Severe coronary artery disease with a previously placed stent was found in the left anterior descending coronary artery. In the area of the stent, there was 90% stenosis, and in the more distal portion of the artery, there was 80% stenosis. In the circumflex artery, there was 80% stenosis in the area of a previous stent and 40% focal narrowing elsewhere. The right coronary artery had up to 40% stenosis from atherosclerosis. There was no gross evidence of a previous heart attack, but microscopy demonstrated interstitial fibrosis, hypertrophic cardiomyocytes, and hypertensive changes of the vasculature. The FAA's Bioaeronautical Sciences Research Laboratory, Oklahoma City, Oklahoma, performed toxicology testing on specimens of the pilot. Testing identified rosuvastatin in blood and urine. Rosuvastatin is a cholesterol lowering medication often marketed with the name Crestor and is not considered impairing. On February 28, 2017, about 1302 eastern standard time, an experimental-amateur-built Sonex, N315AL, collided with a building in Methuen, Massachusetts, while on approach for landing at Lawrence Municipal Airport (LWM), Lawrence, Massachusetts. The sport pilot/owner/operator was fatally injured. Visual meteorological conditions prevailed and no flight plan was filed for the local, personal flight that was conducted under the provisions of 14 Code of Federal Regulations Part 91. The pilot purchased 12 gallons of fuel about 1245 and departed in the airplane from runway 14, about 10 minutes later. The pilot informed the LWM air traffic control (ATC) tower that he would be remaining in the traffic pattern to practice takeoffs and landings. The pilot was subsequently cleared to make a "left-closed" traffic pattern and to report "mid-field downwind." The pilot acknowledged and reported the airplane's position when he was mid-field at an altitude of 1,400 feet above ground level (agl). At 1302, the airplane was cleared to land, but the pilot never acknowledged the clearance. According to LWM ATC tower personnel, immediately after turning left onto the final approach leg of the traffic pattern the airplane, which was about 500 feet agl made a shallow s-turn maneuver to the left, then back to the right before it suddenly nosed over in a right turn and disappeared out of view. Several witnesses driving on the nearby highway saw the airplane approach from the north, then make a sudden nose down "dive" before disappearing behind trees. Additional witnesses reported that they saw the belly of the airplane "engulfed in flames" and described the flames as "very bright red." In addition, one witness reported that fire was coming out near the propeller as the airplane descended. 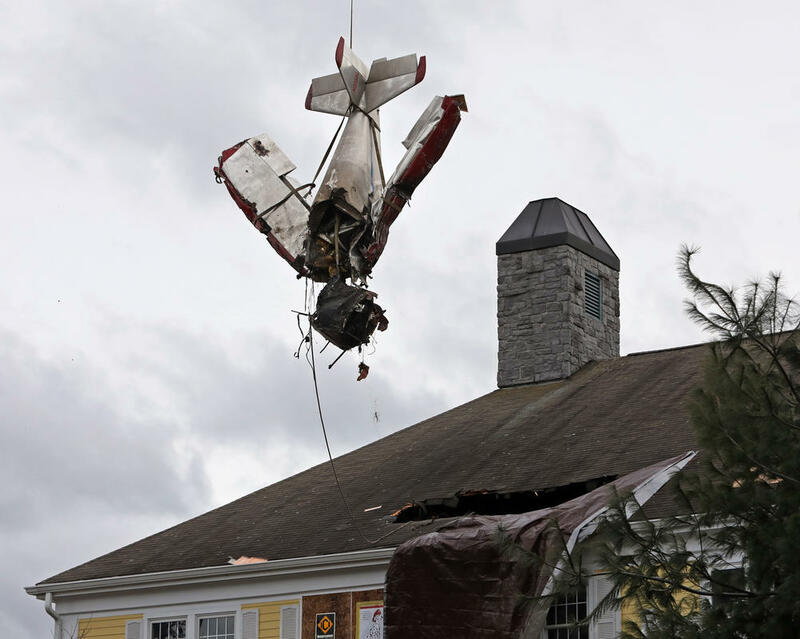 Initial examination of the wreckage revealed that the airplane struck the roof of the three story condominium complex located approximately 1,600 feet from the approach end of runway 14. 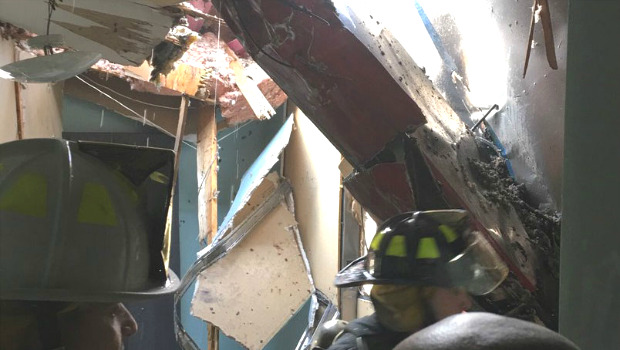 The airplane entered the attic and upper bedrooms of a residence in a nose-low attitude with the empennage partially protruding from the roof. Both wings remained attached and were bent aft approximately 45°. The engine separated and was found upright, 5 feet forward and to the left of the fuselage. It exhibited fire damage on its left side. The two-blade fixed P-Tip wood propeller blades separated 12 inches outboard from the propeller hub. The 17 gallon fuel tank was intact and mounted in its normal position aft of the firewall. It contained approximately 7 gallons of fuel. Fuel lines leading from the fuel tank were severed during the collision and were leaking when the fire department arrived on scene. The buildings fire suppression system activated. The two-seat, single-engine, low-wing, tailwheel airplane was issued a special airworthiness certificate in the experimental category on May 4, 2016. It was equipped with a Jabiru 3300L, six cylinder 120 horsepower reciprocating engine. According to pilot logbook records, the pilot received his sport pilot certificate on May 21, 2014. He had logged a total of 28.4 hours as of October 8, 2016. Various maintenance was performed on the airplane during the months prior to the accident flight. In an email 2 days prior to the accident, the pilot reported that he completed maintenance and started the airplane with no issues, but elected not to fly because of the winds. The weather conditions reported at LWM, at 1254, included: wind variable at 4 knots, 10 statute miles visibility, scattered clouds at 9,000 feet, temperature 13° C, dew point -2° C, and an altimeter setting of 30.35 inches of mercury. The airplane was recovered and retained for further examination. Alan Peabody Lavender, age 73, longtime Newburyport resident, died unexpectedly Tuesday, February 28, 2017, in Methuen. He was the devoted husband of forty-six years of Elizabeth “Betty” Lavender. Born in Rockland, Maine on March 15, 1943, son of the late Stephen Lavender and Anna (Locke) Lavender, he received a Mechanical Engineering degree from the University of Rhode Island, followed by a Masters in Business Administration from Boston University. Al, as he was known by many, loved politics, and had served three terms on the Newburyport City Council and one term as Mayor of Newburyport. Al remained actively involved in his community, serving on the Board of the Friends of the Public Library for 27 years and was the co-editor and founder of their newsletter, as well as a longtime member of Central Congregational Church of Newburyport. Al enjoyed many years as a member of the Masons, with membership in the Corinthian Lodge of Masons in Millvale, Pa.; St. Mark’s Lodge and St. John’s Lodge of Newburyport, was a Past High Priest of St. Andrews Chapter of York Rite Masons in Boston, which is the oldest Chapter in the U.S., Past High Priest of King Cyrus Chapter of York Rite Masons of Newburyport, which is the second oldest Chapter in the US, and was awarded the Benjamin Hurd Junior Medal, Past Illustrious Master of Boston Council, where he was awarded the Blake Bayley Medal; Boston Commandery #2; and President of the Masonic Temple Association of Newburyport. As an avid sailor, he was a lifetime member of the American Yacht Club and sailing remained a big part of his life. He also had a passion for flying and was a member of the EAA, Experimental Aircraft Association. 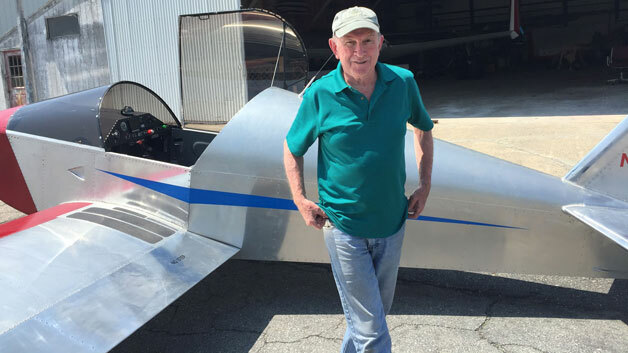 He built his own Sonex airplane and received his pilot’s license in 2014. Throughout his life he followed his dreams with a gusto that never subsided. At the heart of everything he did, was his love of family, love of friends, love of community, and needless to say, Love of Life. In addition to his loving wife, “Betty” Lavender, he leaves behind a son, Roy Lavender and wife Marian of Tewksbury; two daughters, Nadine Lavender of Chicopee and Sharyn Conners and husband, Dan of Australia; two brothers, John Lavender and wife, Margaret of Westport and Thomas Lavender and wife, Gina of Delaware, along with several nieces, nephews, extended family members and many dear friends. He was predeceased by a brother, Peter Lavender and a sister, Stephanie Parke. Funeral Services will be held Wednesday, March 8, 2017 at 11 a.m. at Central Congregational Church, 14 Titcomb Street, Newburyport. Burial will be private. Visiting hours at Elliott, Woodworth & Rogers Family Funeral Home, 35 Green Street, Newburyport, will be Tuesday, March 7, 2017 from 4 to 8 p.m. with Masonic Services conducted by St. John’s Lodge of Newburyport at 3:30 p.m. just prior to the start of the visiting hours. Donations in his memory may be made to the Friends of the Library, 94 State Street, Newburyport, MA 01950. 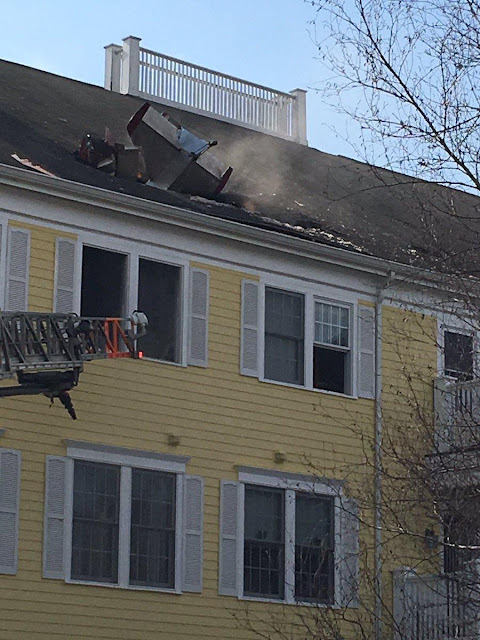 METHUEN — Emergency 911 calls released by the Methuen Police Department on Wednesday afternoon suggest the plane that crashed into a condominium Tuesday had caught fire in the air. A woman driving on nearby Interstate 495 called 911 and said she saw the plane go down in flames. Caller: I'm on (Interstate) 495 near Exit 46. Dispatch: OK what's going on there? Caller: We, um, we're on 495 and we just saw a plane crash on the side of the road, very close to the road. Dispatch: OK, let me transfer you right over to the — do you know what town it crashed in? Caller: Lawrence. It was heading toward the small airport that's down here. Dispatch: OK, let me transfer you to Lawrence, don't hang up. A Lawrence dispatcher picked up the line, and the caller restated her location. Caller: We just saw a plane crash. It's a small plane headed toward the smaller airport, and it started catching on fire ... "
The recording released by police ends in the middle of the woman's sentence. Another 911 caller on I-495 North also said he saw the plane in flames as it flew through the air. Caller: I just saw a plane go down. It was on fire. It crashed what looked like right next to the Merrimack River. Dispatch: By the Merrimack River? Dispatch: OK, hang on I'm going to transfer you. Is it closer to the Lawrence line do you think? Caller: I mean it looked like they were heading for the Lawrence airport. Dispatch: OK, stay on the line. I'm going to transfer you over to Lawrence. The dispatcher in Lawrence picked up, and the caller restated his location. Caller: I was on the highway, I saw a plane go down near the Merrimack River, a small red plane, I was just south of exit 46 on 495 North. Dispatch: It was a red plane? Caller: Yes, a red plane, in the air, on fire, and it went down right near the Merrimack River. It looked like it was heading to the Lawrence airport. Dispatch: OK, is it in the water or on the side? Again, the recording of the call ends mid-sentence. Inside the Prides Crossing condominium complex, a caller believed an explosion had occurred rather than a plane crash. Dispatch: 911 where is your emergency? Dispatch: OK, hold on. Methuen's coming right on the line, sir. Do not hang up. Is everybody out of the building safe? Caller: I can't tell that. I'm from another building. A dispatcher from Methuen picked up and asked what the emergency is. Dispatcher: I have everyone started that way, sir. Are you injured? Caller: No, I'm from another building, but now I can see flames coming from the roof. Some chatter between the two dispatchers can be heard and the tape ends. No one on the ground at the crash scene was injured. The pilot, former Newburyport Mayor Alan Lavender, 73, was killed. An investigation into the crash is being conducted by National Transportation Safety Board officials, who are looking into "the pilot, the aircraft and the environment" to piece together what happened. Air safety investigator Aaron McCarter said he and the NTSB were going through a process of corroborating witness statements about the crash. He added that the NTSB has not yet been able to determine if there were any electronic devices aboard the experimental Sonex aircraft that could help identify the cause of the crash. McCarter said the NTSB is “very interested in what witnesses have to say” and is asking for any witnesses or anyone who has photos or video of the crash to email witness@ntsb.gov. 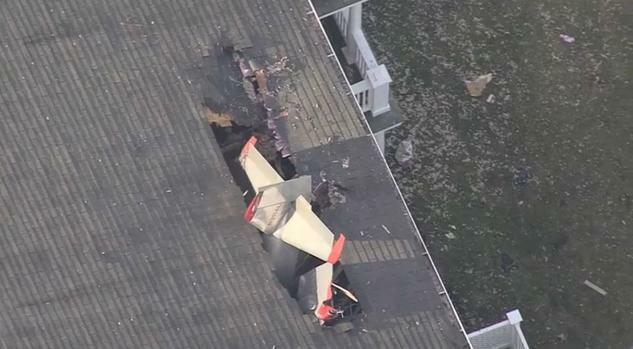 METHUEN -- A preliminary investigation into what caused a home-built plane to crash into a Methuen condominium complex is underway, with National Transportation Safety Board officials looking into the pilot, the aircraft and the environment to piece together what happened. Representatives from the NTSB arrived at the scene around 7:30 a.m. Wednesday and have been in and out of the building, part of the Prides Crossing development in Methuen, ever since. Around 1:20 p.m. Tuesday, a single-engine, two-seater experimental Sonex aircraft was on approach to runway 14 at Lawrence Municipal Airport, about a half-mile from the crash site. In addition to referring to unproven designs, the term "experimental" in aviation is used as a designation for home-built aircraft, even those based on well established designs. “Witnesses reported that the airplane took a steep descent and disappeared behind the trees and subsequently crashed into this building through the third floor and the roof,” McCarter said. That includes the pilot, former Newburyport mayor Al Lavender, who was killed in the crash, his training, qualifications and experience in the aircraft. The NTSB will also examine the aircraft itself, the engineering of the plane – it has an Australian-made engine, for instance – and the environment, including air traffic control and the geography of the area. “How all those three things fit together is part of a much larger, holistic process that’s going to take place after we leave here in three to four days,” McCarter said. Most of the NTSB investigation will take place at its headquarters, far from the crash site, he said. The NTSB is “very interested in what witnesses have to say” and is asking for any witnesses or anyone who has photos or video of the crash to email witness@ntsb.gov. McCarter said he expects to be at the scene for up to four days. Part of that will include removing the plane from the building, where it remained Wednesday morning covered with a tarp and concealed behind a boarded-up window. McCarter said a salvage company had been contacted and was expected to arrive Wednesday to do an assessment. Resident Diane Klein-Peyser was able to return to her apartment Wednesday morning to grab more of her belongings. Wheeling a suitcase outside, she still appeared shaken by the incident. Klein-Peyser said she spent Tuesday night with her sister in Marlborough following the plane crash, and was only able to get inside the building briefly that afternoon to grab a few belongings. “It was get in, get out,” she said. She had a bit more time in the building today. “They told us to pack for a few days and we’ll see,” she said, unsure of when she would be allowed back into her home. Klein-Peyser said she and her neighbors would come together to help those whose condos were directly hit by the plane. METHUEN — A former Newburyport mayor died when his plane plunged into the roof of a Methuen housing development during an attempted landing Tuesday at Lawrence Municipal Airport. 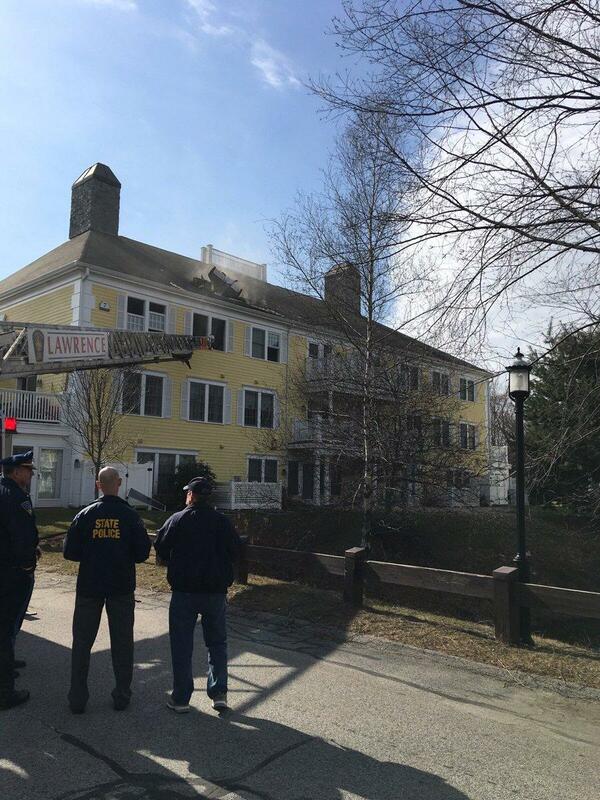 A small fire broke out after the private plane crashed into two condos in the Prides Crossing complex around 1 p.m. Nobody was home at the time, and all other residents of the Riverside Boulevard building were able to get out safely, Methuen officials said. The victim was former Newburyport Mayor Alan Lavender, 73, according to a Newburyport city councilor and an official briefed on the case. City Councilman Robert J. Cronin described Lavender as “an avid outdoorsman” who was interested in experimental aircraft and planes from World War II. “He had a wealth of information about flying. He just enjoyed it,” Cronin said. Lavender was elected mayor in 2001, and he had “a high moral compass,” Cronin said. The Federal Aviation Administration said the private plane was a Sonex aircraft making its final approach for a landing on Runway 14 at Lawrence Municipal Airport. It was about a mile out from the airport, which is located in North Andover, when it crashed shortly after 1 p.m. The crash will be investigated by the FAA and the National Transportation Safety Board, officials said. At the complex, the tail of a plane could be seen protruding from the roof of a multi-unit structure. In airport radio traffic recorded by liveatc.net, the pilot could be heard talking calmly with the airport tower shortly after 1 p.m. as he headed toward the runway. 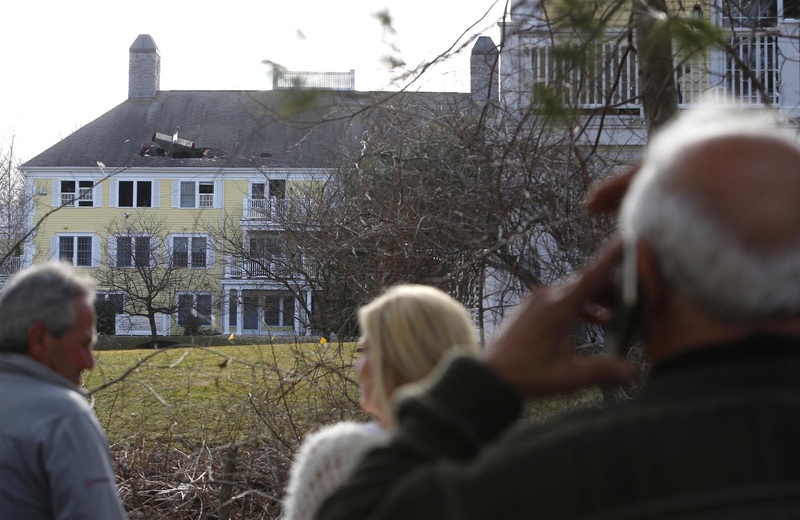 The plane hit a 12-unit building, and the 34 people who live there will not be able to return home Tuesday, according to Methuen officials. 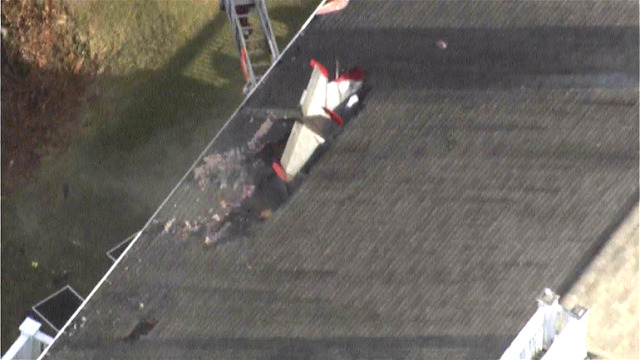 Mark Holden, a Red Cross supervisor, arrived to see the plane sticking out of the roof and still smoking. By 3 p.m., he had talked to about 10 families who lived in the building, and he expected more to rush down to the complex as word spread. Nancy Downey was on the first floor of the building when the plane crashed. She said she heard a loud boom, heard the smoke alarms going off, and stepped outside. “It was raining insulation,” she said. Vanessa Barone was home with her infant son, Enzo, when a loud noise startled her and woke the five-month-old from a nap. She came outside soon after to see the first emergency vehicles arriving, and the tail of the plane sticking out of the roof of a building across the complex. A seven-year resident of the complex, she said she had often joked nervously about the noise and sight of low-flying planes. It’s not the first time that a plane has crashed at the complex. In January 1999, four people were injured when a small, single-engine plane crashed after taking off from the airport across the river. The plane flipped in midair, hit the ground, and skidded to a stop just three feet short of Prides Crossing, according to reports from the time. 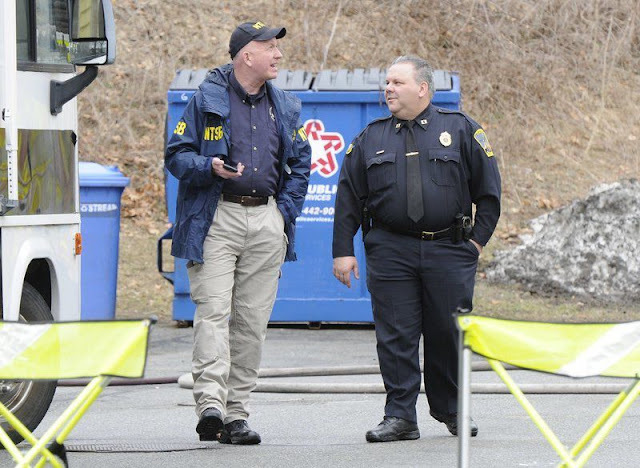 A similar incident happened at the complex in 1991, Methuen Mayor Stephen N. Zanni said. 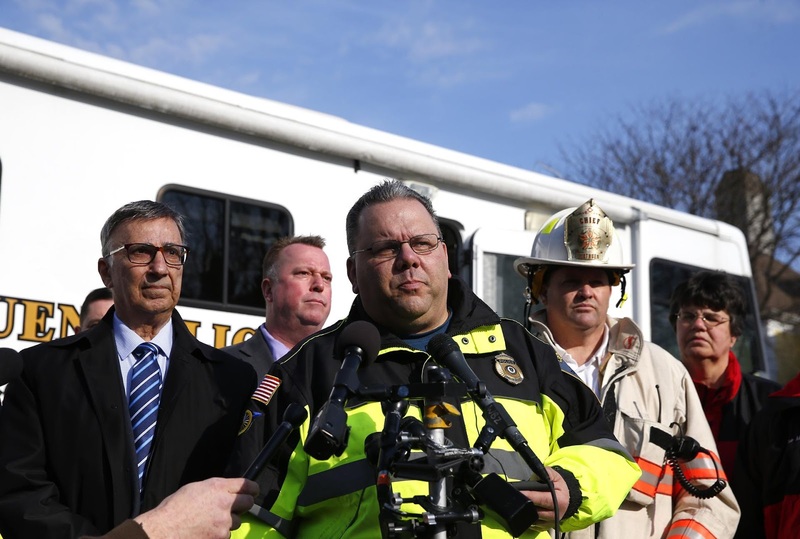 Methuen officials said one emergency caller reported that the plane might have been trying to land in a nearby pond, while another reported that the aircraft was headed straight down, potentially releasing fuel, Zanni said. Methuen Fire Chief Tim Sheehy said at the scene that sprinklers in the building helped control the fire, limiting the damage as firefighters rushed into heavy smoke to douse the blaze. “If somebody was home, it would have been a lot worse, obviously,” he said. Zanni said the city would be looking into safety at the airport, citing the previous incidents. He noted that it had been many years since there had been such a crash. Methuen Police Captain Randy Haggar spoke to the press. METHUEN, Mass. -- A pilot was killed Tuesday afternoon after a small plane crashed into an apartment building. 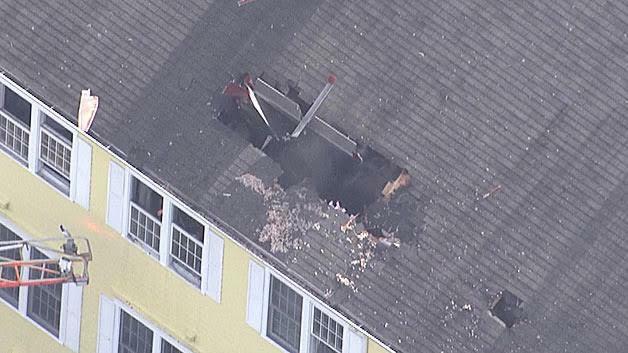 CBS Boston reports the crash happened just before 1:30 p.m. in the city of Methuen, about 30 miles northwest of Boston. There are no reports of any other casualties or injuries. Methuen Mayor Stephen Zanni did not identify the pilot, but said he was a former city councilor in Newburyport. CBS Boston later confirmed his name is Al Lavender, who served one term as mayor of Newburyport. In a statement, the Federal Aviation Administration said the pilot was attempting to land the plane when it went down. The building was on fire following the crash, police said. All residents were able to safely escape the 12-unit building. No one was home in the apartment where the plane came to a rest. 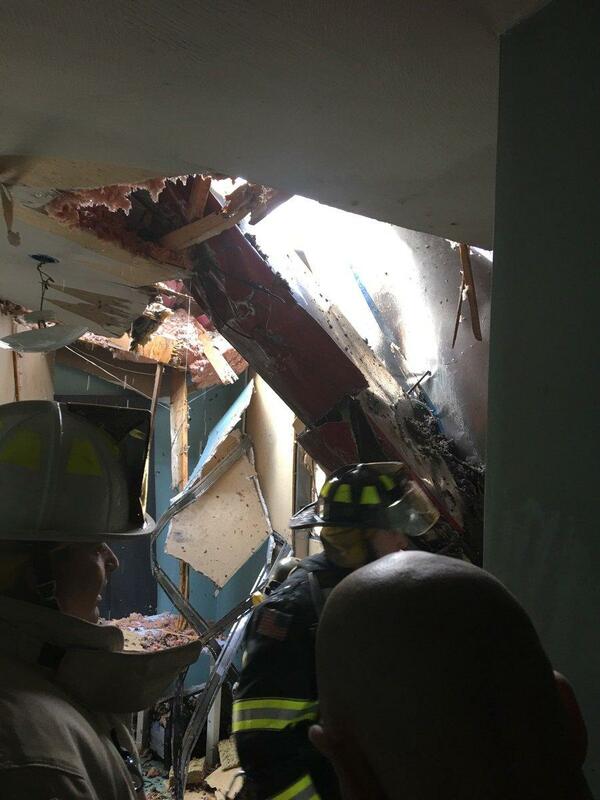 One woman on the first floor said parts of her ceiling came crashing down on her when the plane hit the building. The tail of the plane could be seen sticking out of the roof of the three-story complex. Rich Ward was driving on Interstate 495 South when he saw the plane in flames in the air. “I’ve never witnessed anything like that in my life. I can’t get it out of my head,” Ward told CBS Boston. Keith Lontine lives less than a mile from the apartment building. He told CBS Boston he did not see flames coming from the plane before it crashed. “I watched it fall out of the sky,” said Lontine. Lotine said he regularly watches aircraft landing at Lawrence Municipal Airport. Vincent Aprea, an experienced pilot who flies in the area, said the Sonex aircraft is known to have problems with the engine overheating. The plane was described as an “experimental” aircraft. In 1999, a plane with four people on board lost power after takeoff and crashed in the same apartment complex. 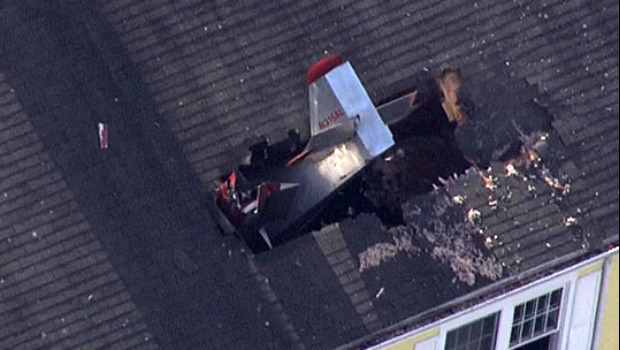 The plane came to a rest against the building and no one was seriously injured. 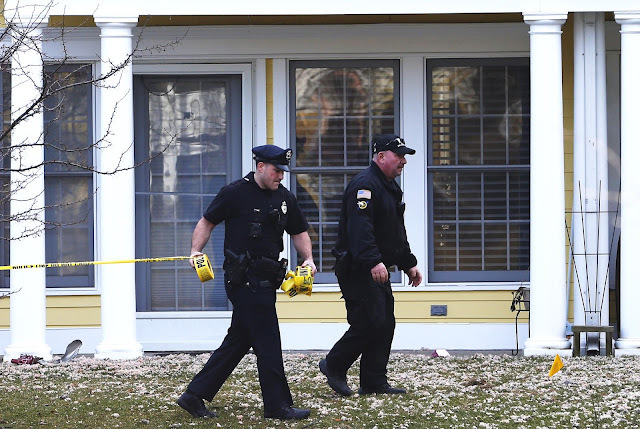 METHUEN (CBS) – The pilot killed when he crashed into a Methuen condominium has been identified as the former city councilor and mayor of Newburyport. Al Lavender was killed in a Tuesday afternoon crash on Riverview Blvd. in Methuen. Lavender previously served as a Newburyport city councilor and was also mayor from 2000-2003. “He was a kind, gentle person,” said current Newburyport Mayor Donna Holaday. Holaday said she was surprised to learn following the crash that Lavender was a pilot. Holaday added that Lavender was an avid boater in Newburyport. Lavender was attempting to land at Lawrence Municipal Airport Tuesday around 1:30 p.m. when he crashed into the roof of Pride’s Crossing Condo Complex. “Our community has suffered a tremendous loss today and our thoughts and prayers are with the Lavender family,” Holaday said. 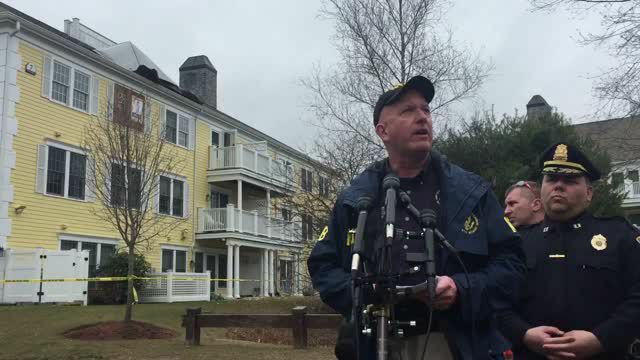 Authorities are investigating after a small plane crashed into a multi-condo building in Methuen, Massachusetts, killing the pilot, a former mayor of Newburyport. It happened on Riverview Boulevard, across the Merrimack River from the Lawrence Municipal Airport, around 1 p.m. Tuesday. Methuen police and FAA officials say the 60-year-old male pilot was the only person on board the single-engine Sonex aircraft, which originated from Lawrence Municipal Airport, at the time of the crash and died at the scene. 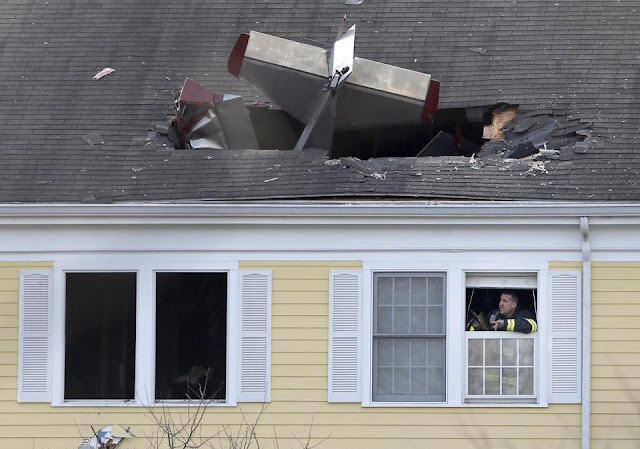 The plane was on a one-mile final approach to Lawrence Municipal Airport when it crashed into a condo at Prides Crossing on Riverview Boulevard, the FAA added. Although the name of the deceased pilot has not been officially released by investigators pending next-of-kin notification, Newburyport Mayor Donna Holaday said Alan "Al" Lavender, who served as Newburyport's mayor from 2002 to 2003 and as a city councilor for eight years before that, was killed in Tuesday's crash. Holaday called Lavender's death "a big loss for our city." "He was such a caring and giving person," she said, adding that he encouraged her to first run for city council and eventually for the mayor's job. The condo complex was the site of another small aircraft crash in 1999. 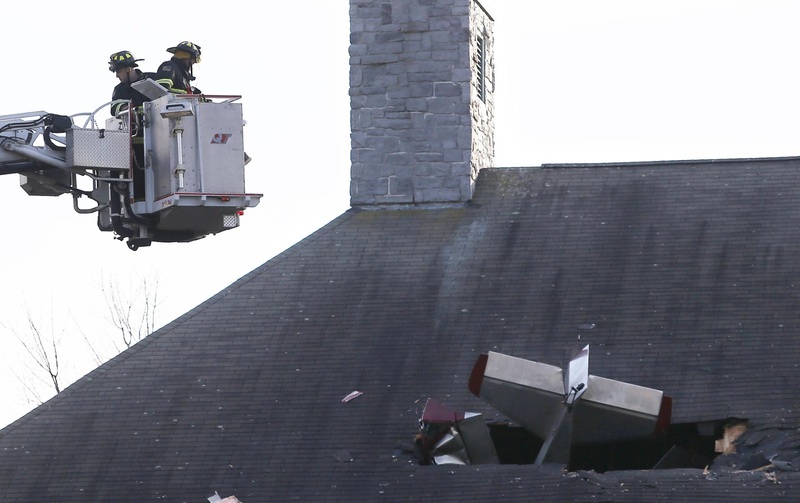 No residents were injured in the crash, which was contained to the building's attic, according to Methuen Mayor Stephen Zanni. The FAA will investigate and the NTSB will determine a likely cause for the crash, according to officials. Skies were partly cloudy with calm winds and a 10-mile visibility at the time of the crash, meteorologist Michael Page said.